We're back with another roundup of vital tech news, courtesy of our friends at TechRadar. In today's digest, there's news of an upcoming app from Apple, an upcoming AR/VR headset from Samsung, plus updated drones from DJI and good news for Wear OS users. Apple wants to make your streaming life easier by bringing all your apps together in one place, according to today's rumours. The idea is that the likes of HBO Now, Starz and other services – though maybe not Netflix – would be available right inside the Apple TV app, so you don't need to jump around on your iPhone or Apple TV. Amazon has taken the same approach on its media devices, and sources say Apple could follow within the next year. Google has announced it's pushing out an update to its Wear OS platform that includes an enhanced battery saver mode, which means the smartwatch on your wrist should be able to go longer between charges. The new mode will turn off most of the watch display to save energy, so you'll need to specifically press a button to look at the time, and it's arriving as part of the Android P update heading to watches sometime later this year. Sssshhhh! DJI has released two updated versions of its popular Phantom 4 Pro done, and says it's cut the sound level by around 4 dB (or 60%) on both of them – that means you can take some great shots of the countryside without scaring the wildlife quite as much. Click through to get all the specs and details from TechRadar: prices start at $1,499 (about £1,100) for the Pro 2.0 bundle and $1,799 (about £1,300) for the Pro 2.0+ bundle. 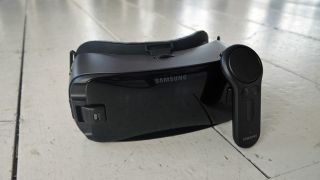 There's a lot of buzz around augmented reality and virtual reality at the moment, and Samsung has plans for a new device, according to sources in Asia. The upcoming headset will apparently combine both AR and VR – a lot like a similar device rumoured to be coming from Apple – and could launch later in the year. The company has already brought out several mobile VR headsets, but this would be its first real push into AR as well. Gaming giant Steam just unveiled a mobile app for Android and iOS called Steam Link, and it means you can play anything in your Steam library on your phone – as long as you have a wired or 5Ghz wireless connection to a Mac or PC. Details are pretty thin on the ground right now, but the software is due to arrive in a couple of weeks, and will also work on Apple TV and Android TV devices. A separate app is arriving to handle Steam Video too.